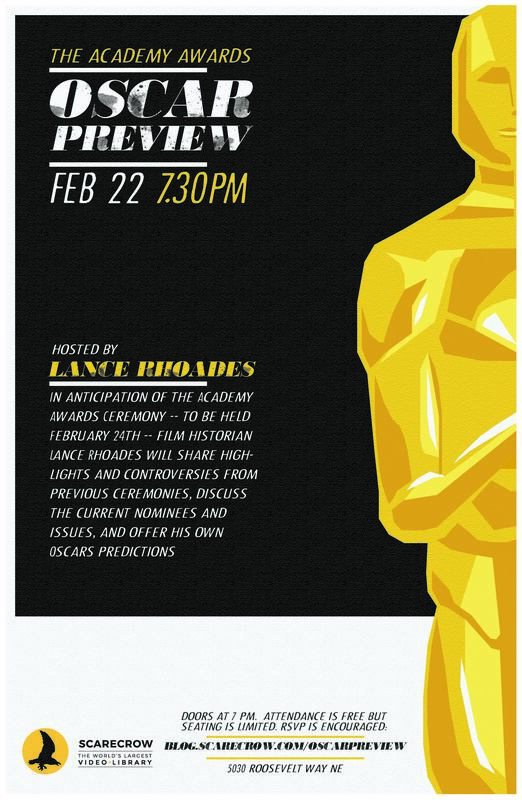 Prep for the Oscars with film historian Lance Rhoades who’ll share highlights and controversies from previous ceremonies, discuss the current nominees and issues, and offer his own predictions. Attendance is free, although RSVP is encouraged. Do that RIGHT HERE.